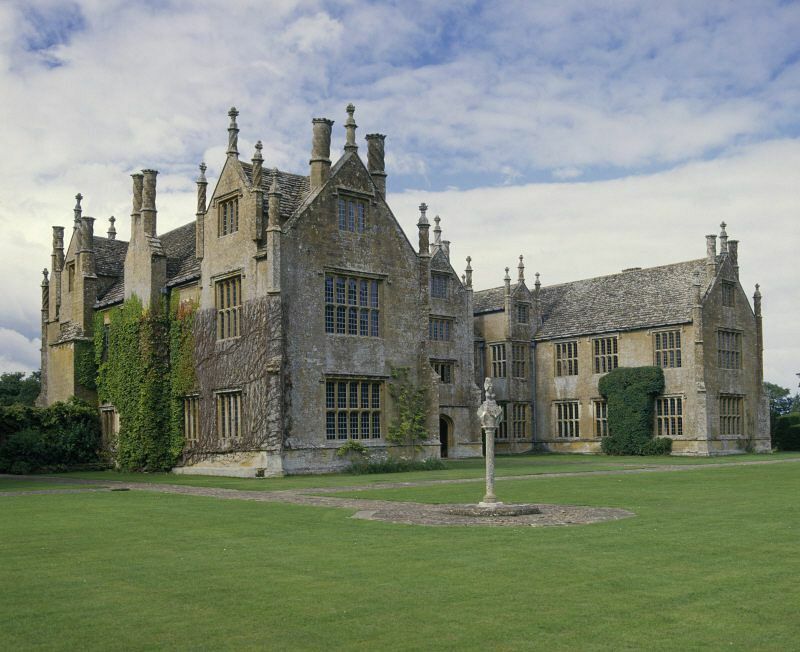 Barrington Court is a 16th century manor house which epitomises the ongoing work of the National Trust. 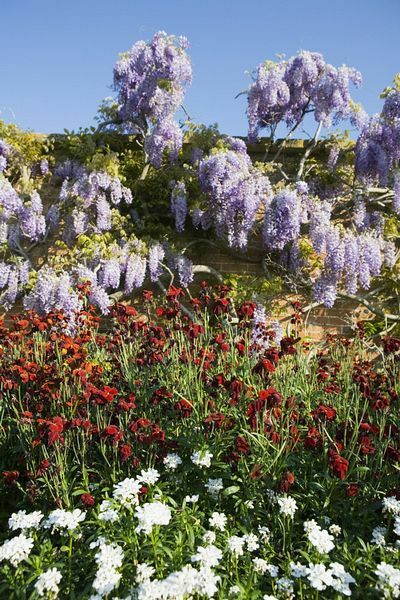 This lovely Tudor manor house with its Gertrude Jekyll-inspired gardens was the first country house to be taken on by the National Trust in 1907. The building had suffered a bad fire in the 19th century and its stripped and ruined shell had since been used for storing farm equipment. Today it is as lovely as the day it was built, back in 1552. 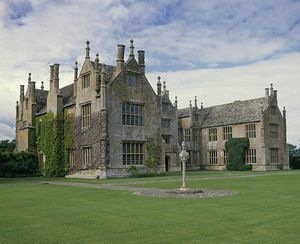 Barrington Court is recorded in the 11th century Domesday Book but the current elegant manor house with its many slim chimneys was completed for William Clifton, a wealthy merchant, in the 16th century. of locally quarried ham stone and was built in a typical Elizabethan E-shape with long wings, mullioned windows and buttressed gables. It has a mixture of styles ranging Gothic to Continental Renaissance, no doubt chosen to display the family's wealth and fine taste. The 17th century stable block was added later by William Strode, and the whole range of styles is complemented with the 20th century Arts and Crafts garden. After the Strode family left Barrington Hall in 1745, little is known of its history until the 20th century. The badly ruined remains of the estate became an overwhelming project and a financial drain on the National Trust, which was still in its infancy. The refurbishment begun by the National Trust was taken over by Colonel Arthur Lyle who leased the property. He began the massive task of refurbishing the interior and recreating this wonderful estate which may otherwise have been lost forever. 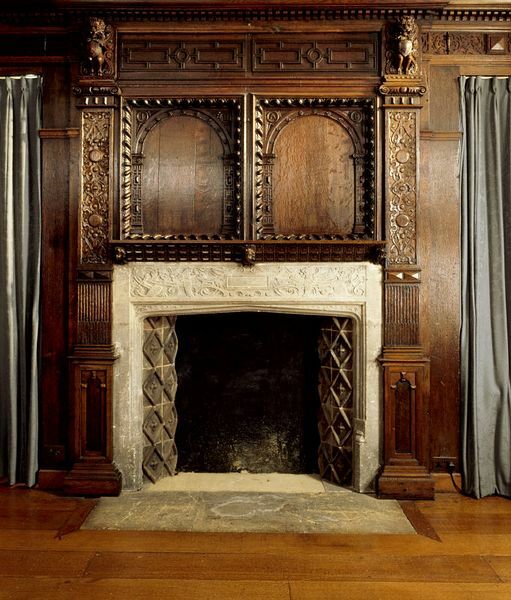 He had a vast collection of wood panelling and decorative items and he needed a home for them. 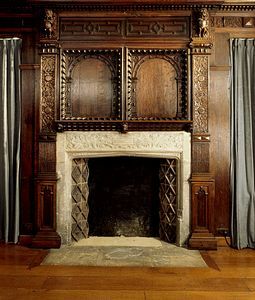 The sprung dance floor which the Lyle family installed can still be seen in the Great Hall, along with the winding mechanism which operated it. The gardens were created at this time, assisted by Gertrude Jekyll, in the Arts and Crafts style which was popular at that time. walls and pens of the former cattleyards created the foundation for the sheltered gardens. The paving was laid out in the 1920s by Forbes and Tate and the planting was done under the expert guidance of Gertrude Jekyll. The restful gardens were created in a series of rooms and include a white garden, rose garden, an iris garden with a sundial, a courtyard garden, a lily pond, moat and a pergola. There are many espaliered fruit trees and a kitchen garden which provides fresh produce for the National Trust restaurant at nearby Strode House. The raised flower beds are filled with colour and the avenue and arboretum have a variety of trees which add colour to each season. In the summer the wisteria, honeysuckle, clematis and sweet peas provide a profusion of colour and scents which are a delight to stroll amongst. Much of what exists today is thanks to the time, effort and money poured into Barrington Court after 1920. Although the rooms of Barrington Court are currently unfurnished, the decorative wood panelling and ribbed ceiling in the dining rooms remains, sourced from all over the world by Colonel Lyle. Barrington Court is in Somerset and consequently the estate produces its own cider and apple juice which can be sampled in the restaurant and bought in the shop.